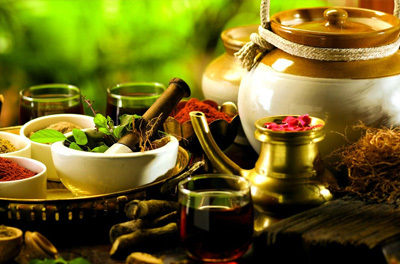 The term Ayurveda literally means substances of good, healthy life. This system of medicine was developed in india over a period of 5000 years. Without losing its originality, it is still being practiced in many places in India, especially in Kerala. However, Panchakarma treatment is available in Kerala is in its pure form.It is a specialized treatment developed in Ayurveda by the sages of Kerala. Ayurveda is the science of knowledge about life. It is composed of two words, (1) Ayur means life (2) Veda means knowledge. This system of medicine was developed in India through over a period of 5000 years. It is as old as the Vedas. Without losing its originality, it is still being practice in many places in in india, especially in Kerala. However ,Panchakarma treatment is only available in kerala. It is a very specialized aggressive treatment developed in Ayurveda by the sages of kerala and by the traditional vydyans. All the therapies in Ayurveda aim to improve general health by removing the toxins from the body and to rejuvenate the body,mind and soul. Kerala has always maintained an unbroken link with the glorious traditions of Ayurveda of the ancient past, in spite of historical ups and downs. Panchakarama is a highly recommended art of cleansing and detoxification of the body.Ayurveda recognizes that many illnesses are caused due to accumulation of toxins in the body. Here we have traditional Ayurvedic procedures for purification and rejuvenation and follow up practices. Panchakarma improves musucle tone ,stimulates blood circulation,relaxes,refreshes and rejuvenates the body. 1.Vamana 2. Virechana 3.Nasyam 4.Vasti 5.Rektha Moksha. Body Massage with special Ayurvedic oils and later taking a medicated soothing hot water bath improves muscle tone,stimulates the nervous system,promotes better blood circulation,relaxes,refreshes and rejuvenates body. A well documented therapy for reducing mental tension is known as Dhara. It is recommended for insomnia,mental tension,rtheumatic complaints,chronic headaches,diabetes,psoriasis,other skin diseases etc. It also refreshes your senses and improves digestion. Elakizhi with variety of Ayurvedic leaves,Njavarakizhi with Ayurvedic rice and holes, Muttakizhi with half boiled eggs,Narangakizhi with halfboiled lemons are various types of massages available in this method of treatment.Kizhi is recommended for arthritis,spondaylosis,injuries or attacks of sciatica,obesity,diabetes,etc It improves blood circulation also. Pizhichi is very useful for arithritis.para;ysis,hemiplegia,sexual weakness and many other disorders and also for degenerative disorders. Medicated steam bath eliminates impurities from the body and also improves the tone of the skin and reduces fat. Highly effective for certain kinds of heradaches,paralysis,mental disorders,sinusitis,tonsillitis, facial paralysis,eye diseases etc. Also prevents wrinkles,gray hair,improves hearing and eye sight. Sirovasthi is highly recommended for facial paralysis,dryness of nostrils ,mouth and throat.It also prevents headache.This is an effective treatment for mental disorders and also for weak functioning of the brain. Udwartana means to elevate or to improve or to promote. The name can be attributes either to the treatment ability to improve the body condition or the upward strokes used in massaging. Marmas are certain points in a person’s body that relate to certain energy centres. The word ‘Marma’ means hidden or secret. Marma points are connectes with each other by ebergy channels called ‘Naadies’ in Ayurveda.Ayurvedic Marma massage (chavittithirummel) is relaxing ,rejuvenating massage which focus on these Marma points,using special Ayurvedic oils and massage techniques and also using the feet of the massage thyerapist releasing blocked energy levels throughout the body.This massage also helps to restore,and repair ,worn out tissues and helps to prevent ageing.